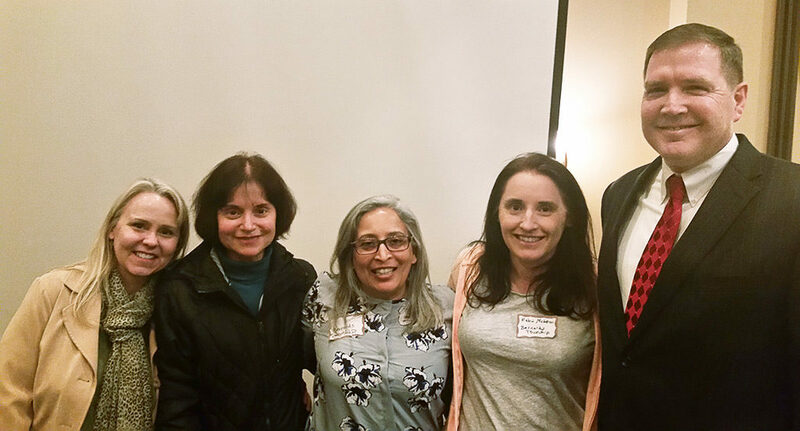 On April 13, the Hunterdon and the Somerset county school boards associations held a joint meeting that featured several state legislators discussing timely educational issues. 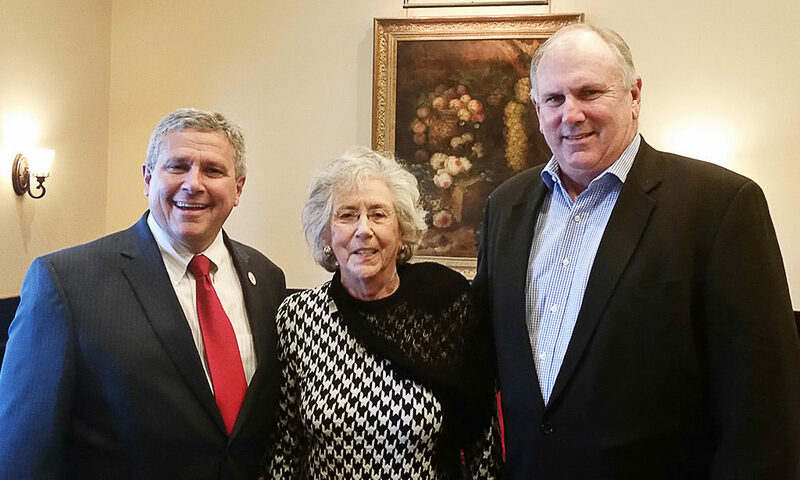 Left to right: Sen. Christopher “Kip” Bateman; Maud Dahme, former president of the State Board of Education, and former president of the Hunterdon County School Boards Association; and Dan Sinclair, NJSBA vice president for county activities. Left to right: Sen. Michael J. Doherty; Assemblyman John DiMaio; Assemblyman Andrew Zwicker; and Assemblyman Erik Peterson. Left to right: Bernards Township board members Rhonda Dunten, Linda Wooldridge (board president), Priti Shah and Robin McKeon; with Sen. Michael Doherty. Left to right: Bill Goodwin from the Readington Township board; Assemblyman Andrew Zwicker; Heidi Alles (president), Ned Pafile and Anne Facendo, all from the Manville board.